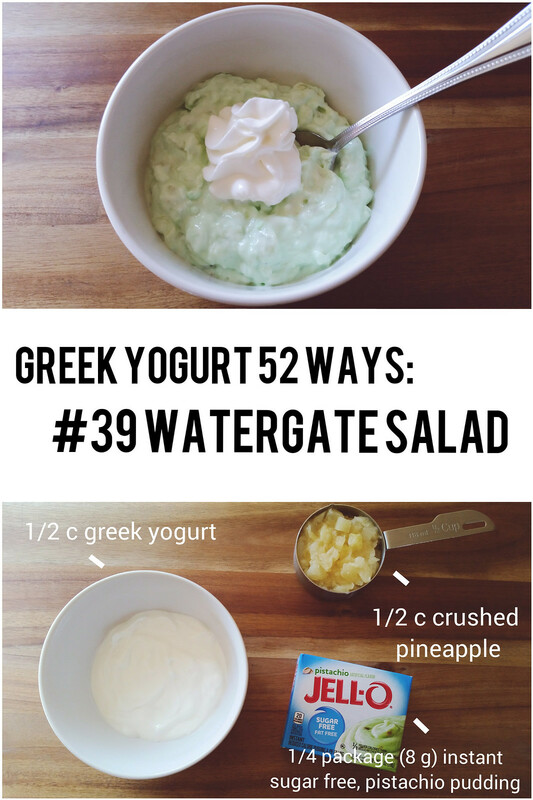 You may remember that I have a project right now to make Greek yogurt 52 ways. After I completed my 52 sandwiches project some years ago, I needed a new project. 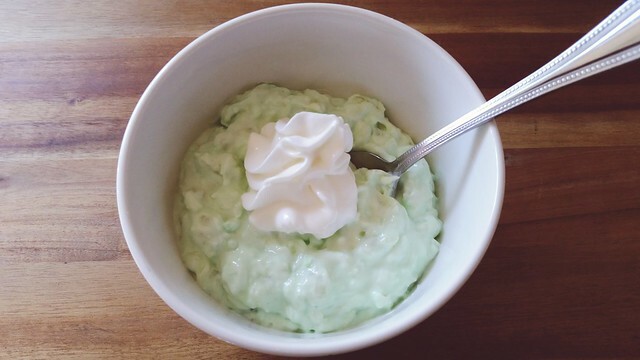 I read Emma's Greek Yogurt: 4 Ways on A Beautiful Mess at that time and I was so inspired I made all 4 of her recipes that very week. She commented on how some of the recipes would be good as afternoon snacks or light desserts. 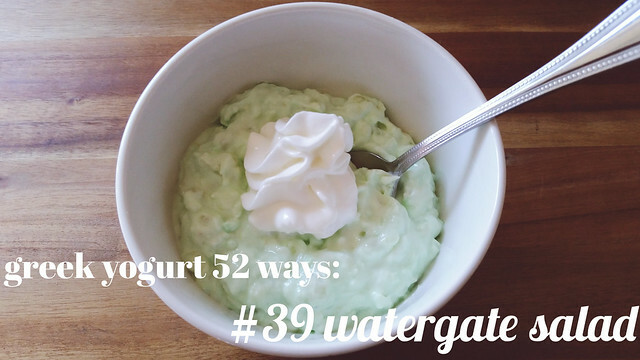 I jumped on her light dessert idea as I have a major sweet tooth and I decided to try Greek yogurt 52 ways. I've experimented with a few Greek yogurt dessert recipes within the past year during my inadvertent, blog sabbatical (that's what I'm calling it now because it sounds like I'm more sophisticated than I really am). 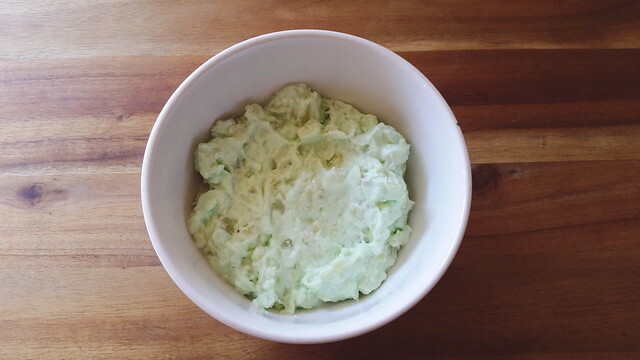 The one I'm sharing today is a current favorite- a healthy twist on the Watergate salad. If you haven't heard of this "salad," it's traditionally made with pistachio pudding, crushed pineapple, pistachios or pecans, marshmallows, and whipped cream. How it correlates to the Watergate Hotel, or more infamously, the Watergate Scandal, is not certain. There are multiple theories, but nothing conclusive. All I know for sure is that this "salad" is delicious. The truth is I haven't had the real stuff. You know, like the one your grandma makes? Or the one in the deli at your grocery store? Because I haven't had the original, I am not comparing this recipe to anything. It stands alone for me and I really like it! 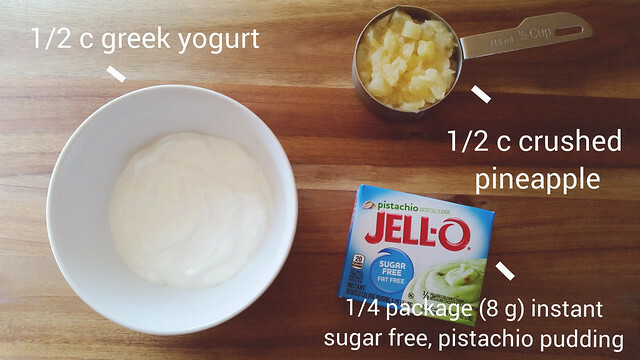 First I mix in 1/4 of the box of sugar free pistachio pudding (that's 8 grams if you weigh your portions as I sometimes do) with a 1/2 cup of plain, Greek yogurt until they're well-blended. Then I mix in a 1/2 cup of drained, crushed pineapple without added sugar. Finally, I gently fold in fat free whipped cream. I don't add marshmallows though that's how the real stuff is made. I have had it with the marshmallows and don't feel like they're necessary. But if you feel they're necessary, you can always add them, of course. Let me know if you it! I have a couple things I'd like to share from the past few months. This year we took our youngest daughters (they're 7 and 3) to Disneyland. My parents took our older daughters (they're 13 and 11) to Universal Studios. (My older girls are big Harry Potter fans). Later that week, Jesse, our girls, and I headed up to Yosemite National Park. We stayed at the Pine's Resort, which I highly recommend. I will be sharing more details about our trip soon. I loved it! Jesse took vacation time during our daughters' spring break from school and the following week when they were in school, so we could spend time together, too. We went out for brunch, went hiking, and thrifting together. We found 2 nightstands for our bedroom for $10! I've been decluttering our bedroom quite a bit lately. We bought the night stands as I mentioned already, a new lamp for my night stand, and jersey bedsheets (so soft!). We also moved out our old dresser. We're finally creating a bedroom we respect. 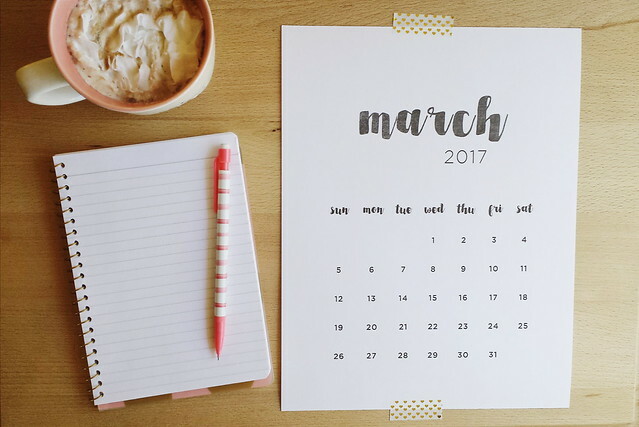 That was one of my goals for March. As I mentioned above, we went hiking during spring break. I had went hiking with my friend Kerri (on the first day of spring!) and wanted to take Jesse on the same hike because there is a pretty waterfall at the end of the hike. We went on a couple family hikes within the past couple months, as well. We hiked in Yosemite (so beautiful) and we went to Devil's Punchbowl Park (with family friends, too). Because we finally got some rain, we got to see the river at the bottom of the punchbowl. I'd like to branch out and go hiking on different, local trails this year. I've been trying to stick to my goal of 15 minutes a day. Some days I read more and some days I don't read at all. That's me- an all or nothing kind of person (a mentality I'm trying to change). I have read a couple nonfiction books this year including Present over Perfect. I posted a couple of inspiring quotes from the book on Instagram (also here). (If we're not friends on Instagram, I think we should be! @jessicarrodarte). 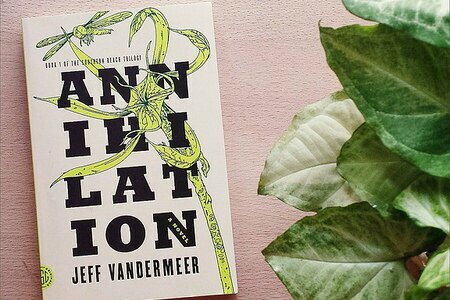 Annihilation has been the first fiction book I've read this year. I read through fiction much faster than nonfiction. As I said on Instagram, "Annihilation is a thriller about an uninhabited, unusual area- Area X. Expeditions have gone to Area X to study it. All expedition members have died under mysterious circumstances- one group commits mass suicide, another returns and gets cancer within a few months, etc. Annihilation is about the experience of the 12th expedition. I learned after I read Annihilation that it isn't only a thriller, but a horror, as well. I never read horror. Ha. I enjoyed it though. And I'm looking forward to the film in 2018 starring Natalie Portman. Now I'm off to read the second book in the series." It's been more than a year since I've shared anything about My Weight Loss Toolbox. (Read through some of my favorite posts). To catch you up (kind of), I've maintained a fairly active lifestyle. 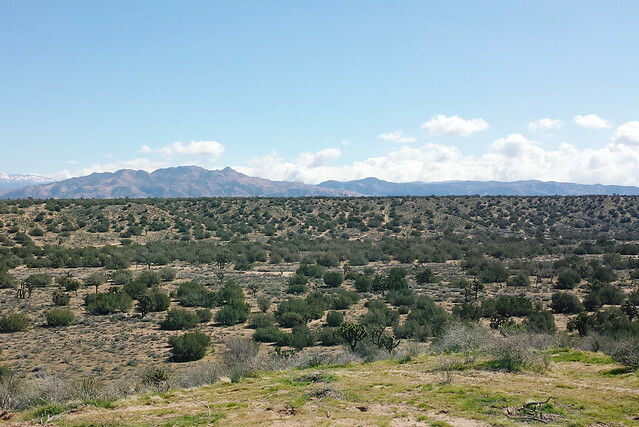 I try to go to Zumba every week and as you've already read, I go hiking from time to time. I have a Fitbit and I aim to reach 10,000 steps a day. And I try to eat well and within reason. 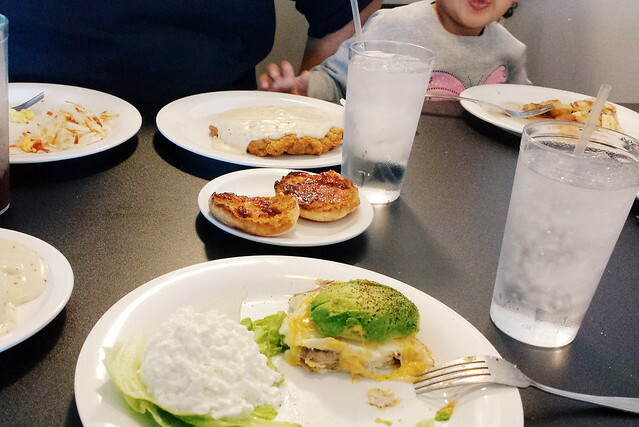 I rejoined Weight Watchers a couple months ago. I have been going to the meetings. I really love the "Weekly" magazine and I appreciate the topic every week. I have lost a couple pounds this year- not much, but it's still something! Weight Watchers is a very significant tool in my weight loss toolbox. I've decided to try the 9x12" album for this year's memory keeping. I bought a 12x12" book and my brother-in-law cut down to a 9x12" for me and for my sister, too. My sister Jasmine is also using a 9x12" book and had the idea of cutting it down after seeing this tutorial. 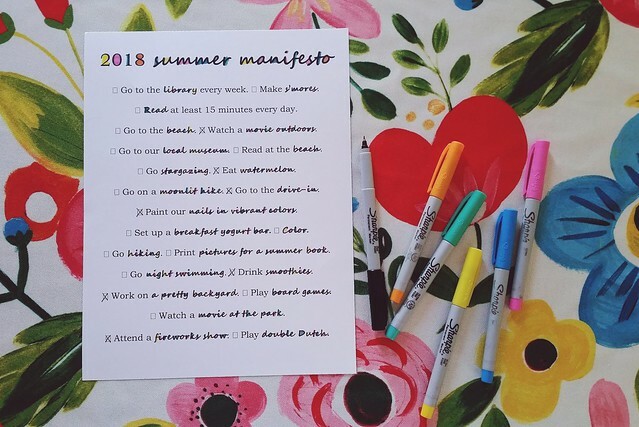 I finally cleaned my work space (no easy feat, friends) and am ready to do this. 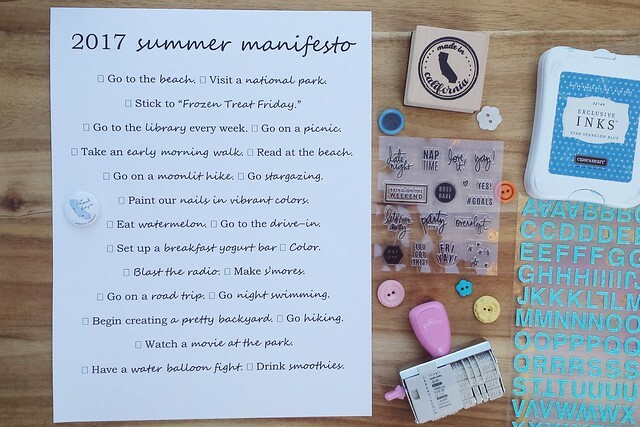 I want to make time for this and intend to do so! I miss it. 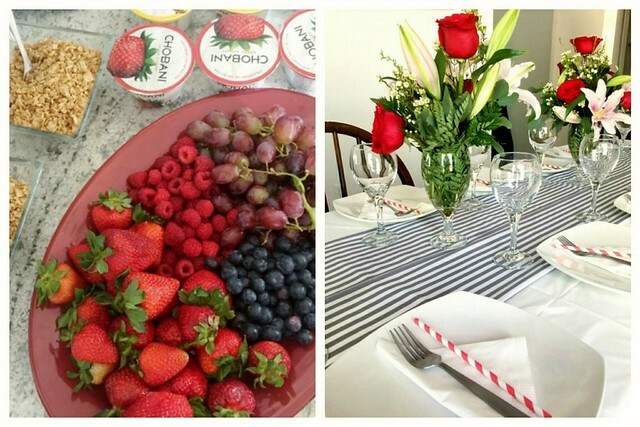 My sister Jasmine and her husband hosted a Mother's Day brunch for the moms in our family. It was really sweet. Jesse and my girls got me a gift basket with my favorite candy, gift cards to some of my favorite places, and some new houseplants. They know me! The week before Mother's Day, Addy (she's 7) gave me handwritten notes daily. I was really touched. It made me think about how those handwritten notes come to an end at some point. I decided to give my mom a handwritten note with a picture I colored. I hope my daughters never stop giving me handwritten, illustrated, and/or colored notes. My primary love language is paper crafting words of affirmation, after all. I mentioned my sister Jasmine's pregnancy last year, but didn't share that my nephew Jeremiah was born in September! He just turned 8 months old and I can't get enough of his adorable smiles and curious eyes. I have been watching him for my sister, who is now working part time. My sister posts many pictures of him on her Instagram if you'd like to see more of him. :) My brother-in-law does on his Instagram, too. My daughters keep me very busy. If you don't know, I have 4 daughters- 13, 11, 7, and 3. The last, several months have been very, very busy with Lani, my oldest, going into high school this school year and Evie going into middle school. Addy will be starting second grade. Juli is still at home with me and she is currently learning to write her name. :) My older girls have had many school functions and projects and extracurricular activities- awards for academic excellence and attendance (so proud), Principal of the Day reward for reaching 500 AR points (Evie, you did it! ), science fair projects (Evie won third place for hers), track meets, Muffins with Mom/Donuts with Dad breakfasts, plays, various fields trips, sushi dates, etc. It's a whirlwind of activity. Jesse and I have been working on making time to date each other. We enjoy movie/dinner dates, hiking together, brunching, watching TV shows together multiple times a week, etc. A couple weekends ago, we headed to Death Valley to stargaze. "Death Valley National Park harbors some of the darkest night skies in the United States." I was awestruck by the Milky Way. Jesse and his family went when he was young. He said when he got out there and looked up at the stars, he was taken aback by how many stars there were and how bright they were. He wanted to share that experience with me. I'm glad he did. It was beautiful and I want to go back soon.